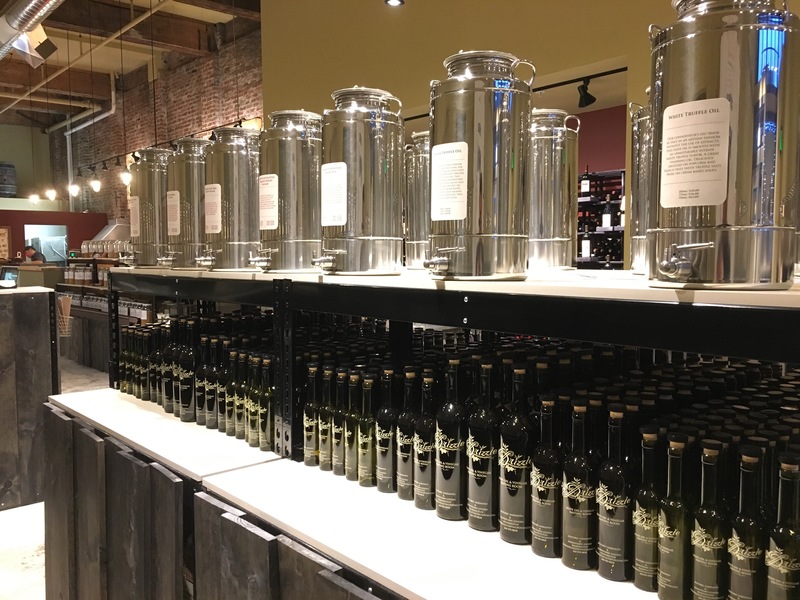 Upon walking through the front door, you’re greeted by their 60+ varieties of oils and vinegar, with everything from ‘Balsamic Strawberry’ vinegar, to Black Truffle Oil, to specialty plain Extra Virgin Olive Oils. 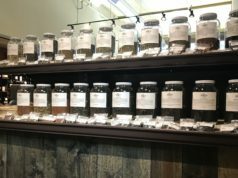 Sampling tastes are encouraged, and their service-oriented staff is eager to share about methods to taste, and to help you fill a bottle of your choice which can then be heat-sealed and even shipped if you wish. All bottles are filled on the spot, so you know that what you are bringing home is exactly what you tasted and loved. 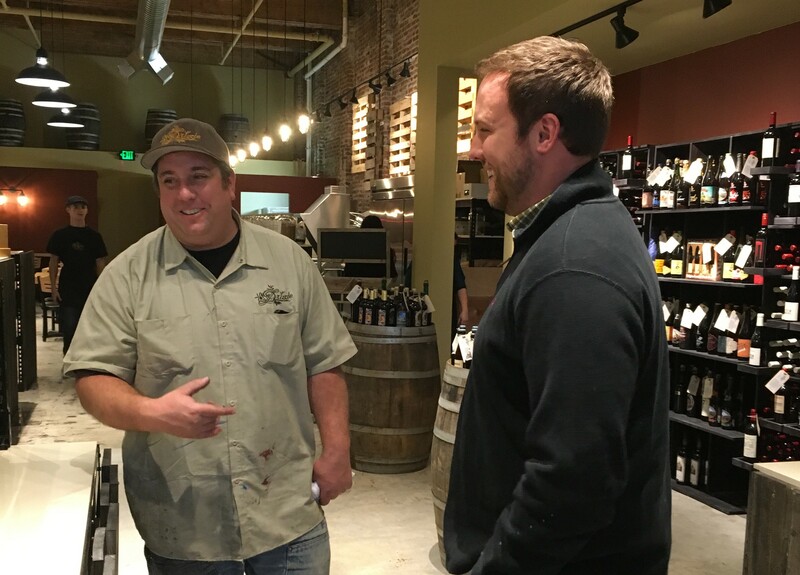 Ross says that he and his wife Dana got into the industry after meeting a farmer that now provides their oils, and becoming passionate about the chemistry that makes great olive oils and vinegar. 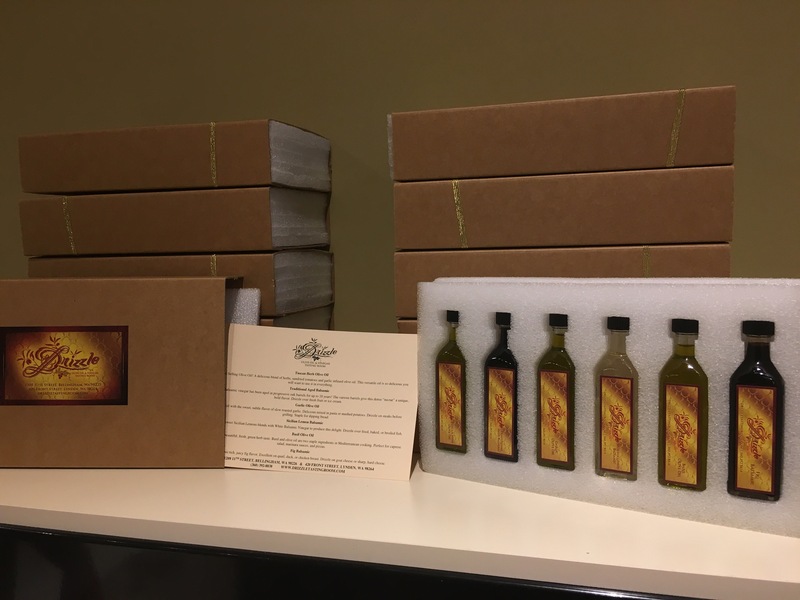 They’ve worked with a coalition of about ten other specialty olive oil merchants around the world to create exacting standards of the purest and best oils. Ross was certified by an Italy-based board about three years ago, after passing a rigorous blind taste test. “We love our neighbors!” exclaims Ross, who has fallen in love with the bites across the street at the Lynden Dutch Bakery. Speaking of their experience so far in Lynden, the Driscolls say that everyone has been so friendly and welcoming — from local residents bringing them treats during construction, to fantastic local vendors like Lynden Paint and Flooring (directly across Front Street) and Vander Griend Lumber being very helpful. For everything from the most exotic varieties to the pure extra virgin olive oil, Drizzle provides some of their favorite recipes on how to incorporate your purchase into a delicious meal. Drizzles popular $30 “peoples choice” gift set: the top 6 oils and vinegars in a presentation gift box. One of the most popular items at Drizzle, especially this time of year, is their $30 gift set which includes their 6 most popular oils and vinegars, and comes in a nice presentation box. 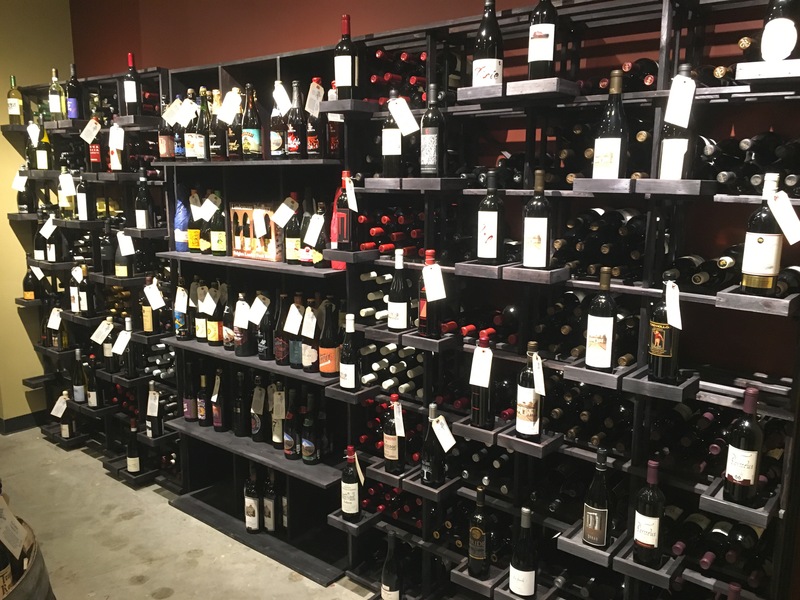 They also offer a wide variety of beers and wines, with everything from fine wines and beers, to handpicked value-conscious wines from around the world. 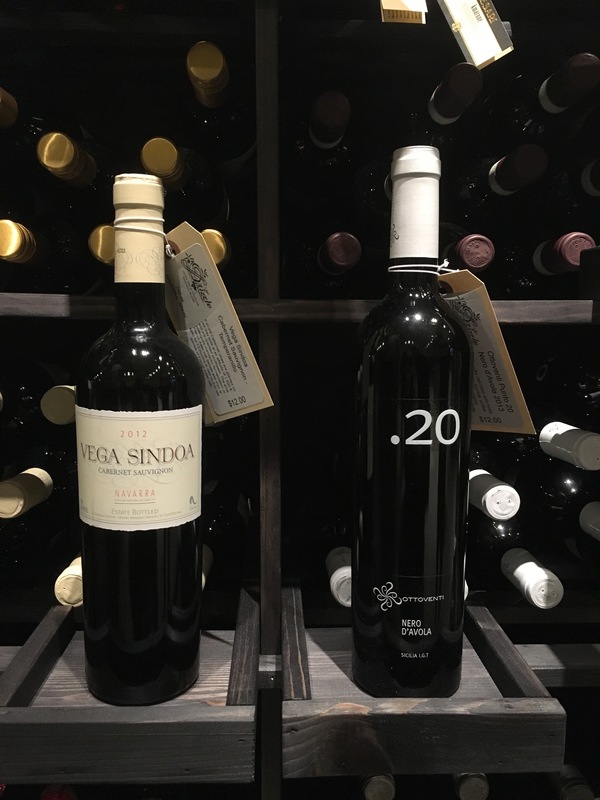 Many wines will be available by the glass as well, and any bottle can be purchased and enjoyed on-site with no corkage fee in Drizzle’s restaurant seating. 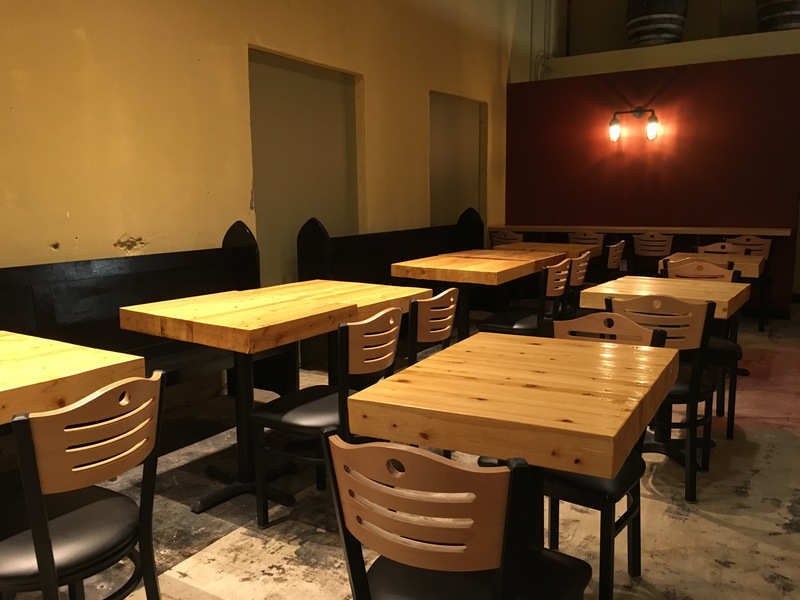 A nice seating area is adjacent to the open kitchen in the back of Drizzle Lynden. The menu will be limited over the first few weeks as Chef Andy Nguyen crafts delicious “Drizzle boards” – meat and cheese plates with his famous homemade terrines. 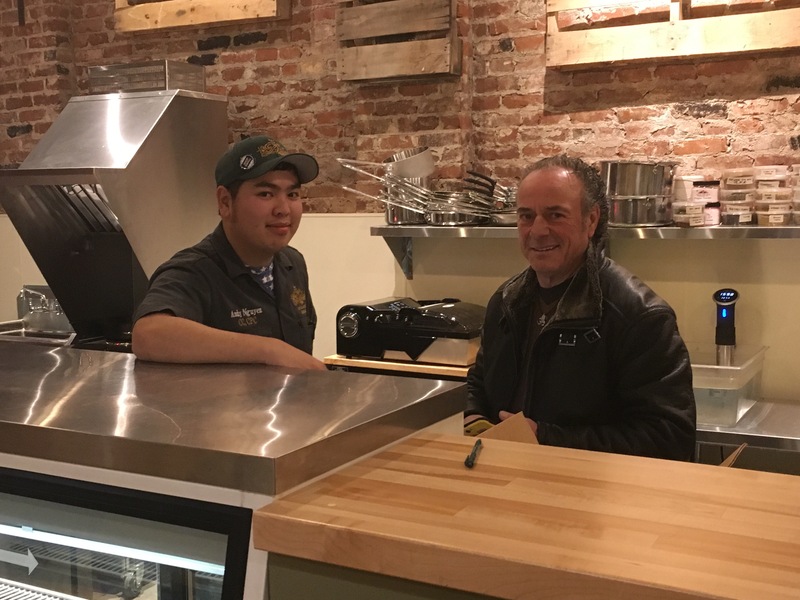 Nguyen has worked in fine dining for years, and now brings his passion and expertise to Lynden, joining the Drizzle team. 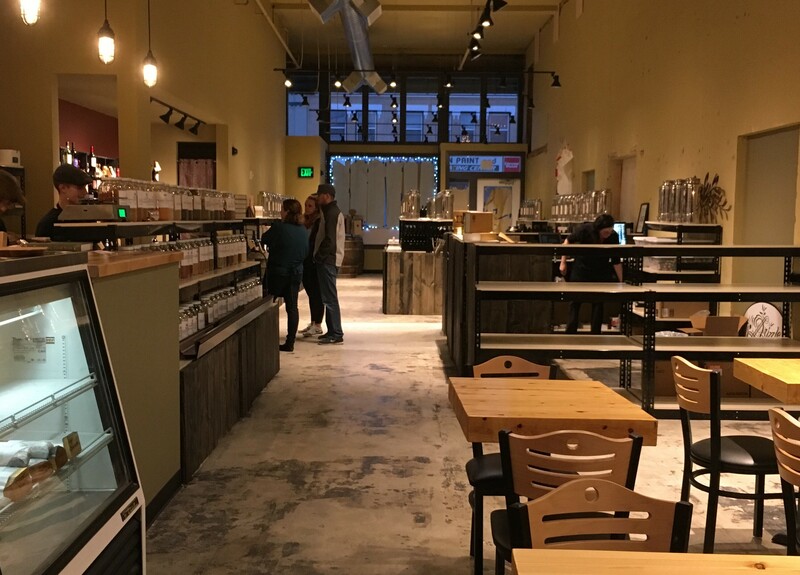 They plan to roll out their full menu around the new year, which will include Dutch-inspired bites such as their own take on Olie Bollen, and traditional Dutch ‘bitterballen’ — a savory meat-based snack very common in Holland but not yet widely seen in Lynden. The full menu available in the new year will also feature the ‘Front Street Grinder’, a signature hot sandwich with their fresh ingredients. Cheesemaker Raffaele Mascolo of Ferndale Farmstead Cheese Artisans delivered a variety of his fresh local Italian-style cheeses to Drizzle in preparation for their opening the following morning. 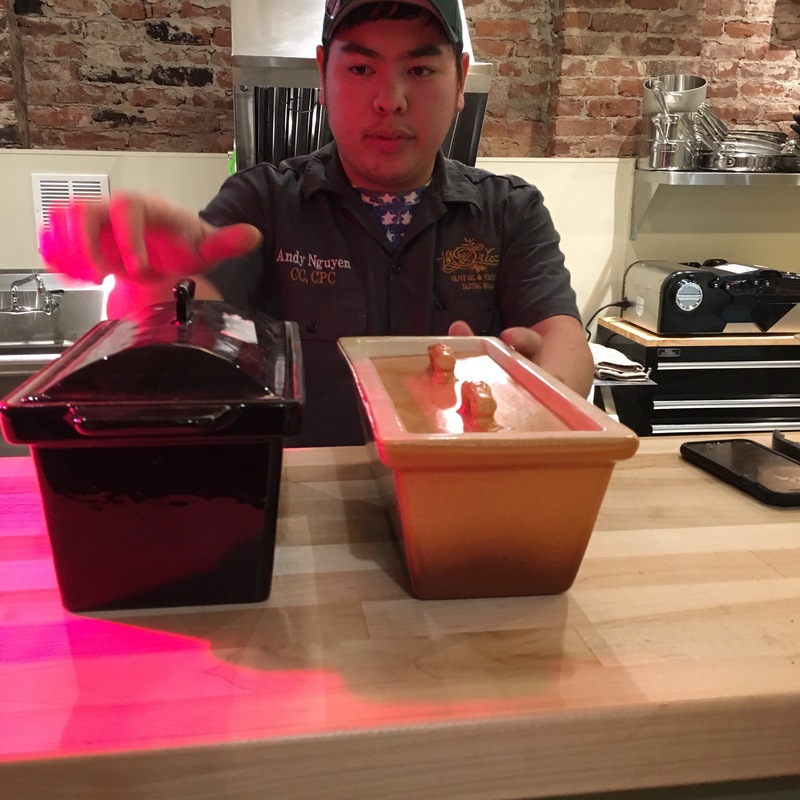 In addition to sourcing directly from many local farms, Chef Nguyen grabs ingredients from the shelf, including Drizzle’s many homemade spices and infused oils. 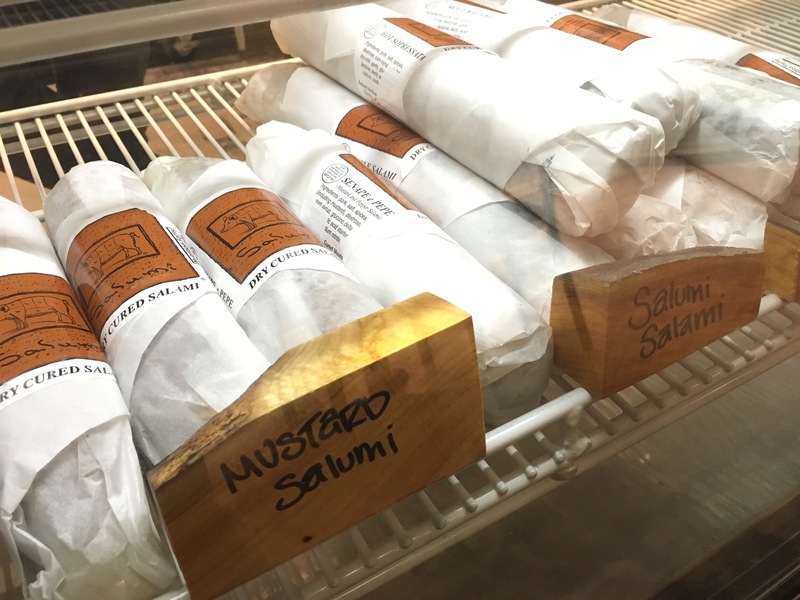 Drizzle offers a variety of fine salumi, cheese and more in their deli case at the rear of the store. 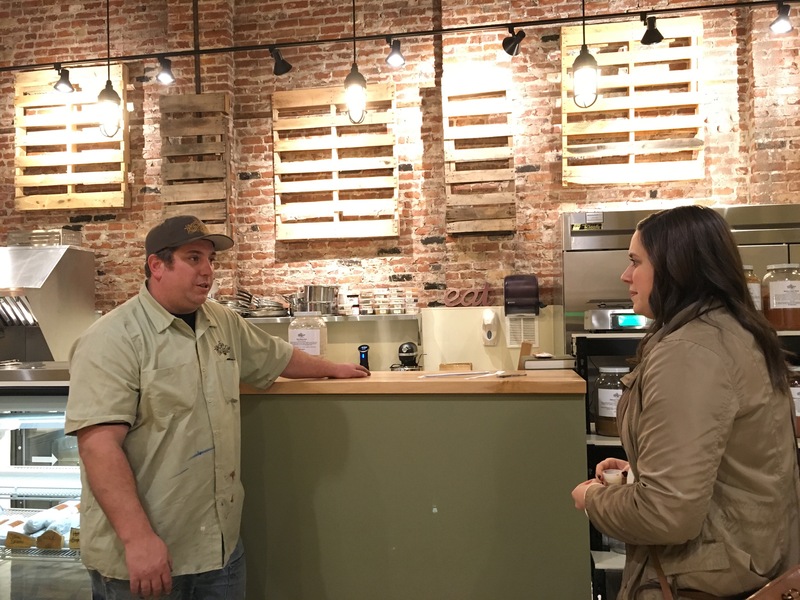 Drizzle co-owner Ross Driscoll shares his passion for fine yet approachable foods and flavors with Lindsey VanderHoek of ourLynden. Drizzle offers $1 off any bottle refill when you bring in a clean dry bottle from a previous fill. They also offer a “get your 12th bottle free” punch-card for their oils and vinegar. They plan to open their space for after-hours events and catering to the community, and suggest that you stay tuned to their Facebook page (linked here) for updates on future after hours events available to their followers. 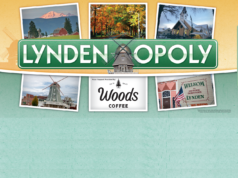 Lynden store manager Hilary will be frequently joined by co-owner Ross Driscoll, while Dana takes care of the important behind-the-scenes aspects of running the business. After a long few days of making final preparations for opening, the Drizzle Lynden team took a moment for a team photo. 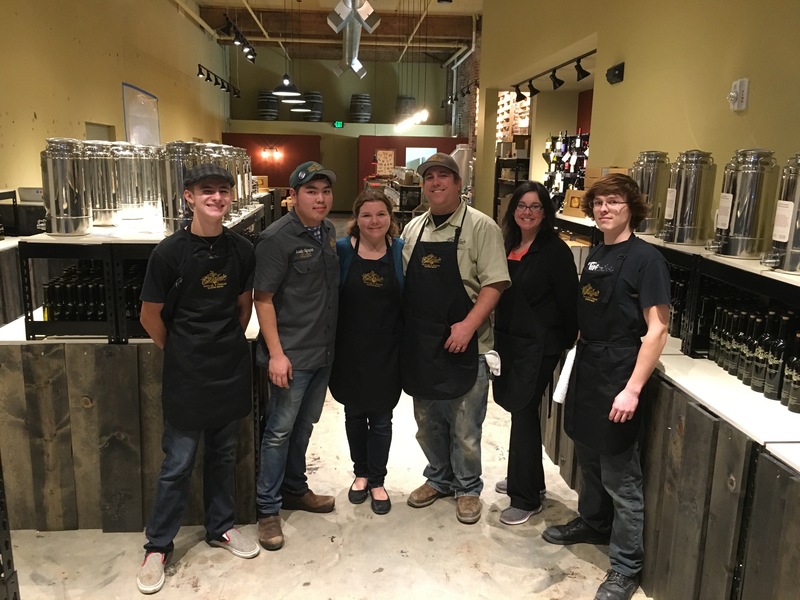 Owners Dana and Ross Driscoll are in the middle, with Chef Andy Nguyen on the left and manager Hilary on the right, as well as team members Austin and Jake. 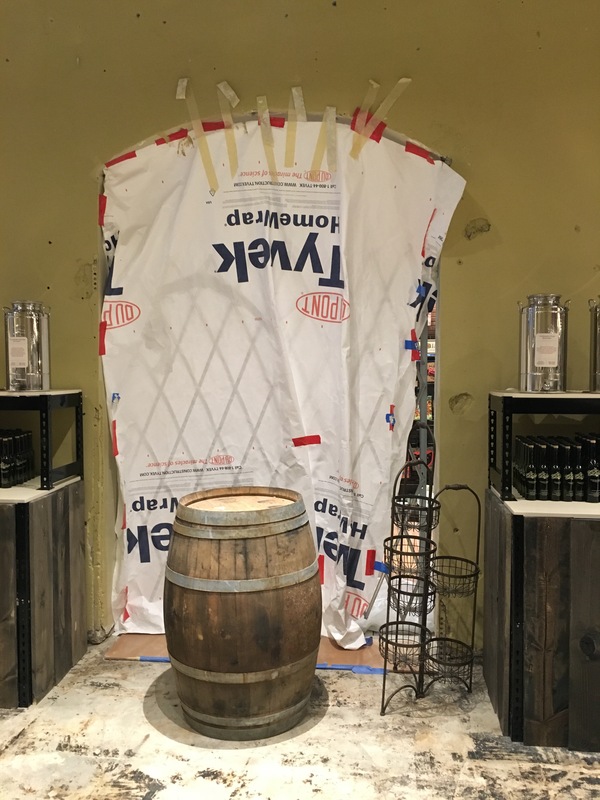 The space features two large open pass-throughs to neighboring Village Books, allowing people to pass freely between the two spaces (as they made final preparations for opening, the pass-through was still blocked with Tyvek paper). A large open air pass-through allows customers to pass freely between Drizzle and neighboring Village Books. 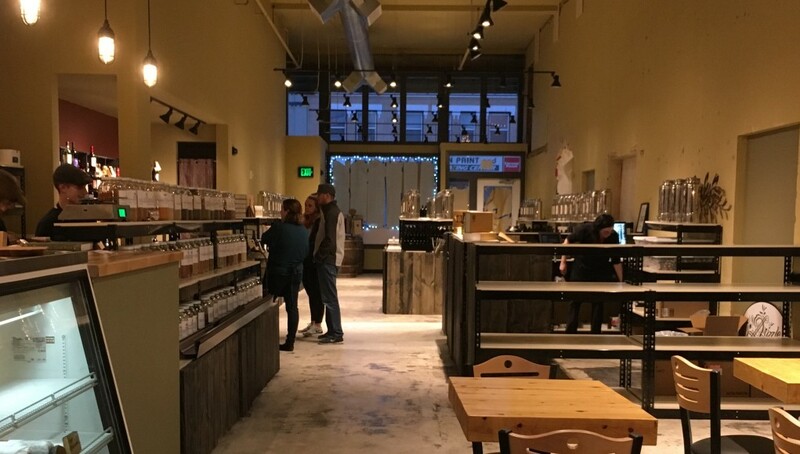 Be sure to check out Drizzle and welcome them to Lynden! And, don’t forget to use the keywords “DRIZZLE LOVES LYNDEN” now through Thursday December 17th for 10% off your entire purchase. Previous articleAn Update on Waples Mercantile Merchants: what’s opening next? Next articleLynden in Lights 2015: don’t miss these neighborhoods and homes!